If the sky fascinates you and you love astronomy, you will definitely love our list of the best astronomy sites online. 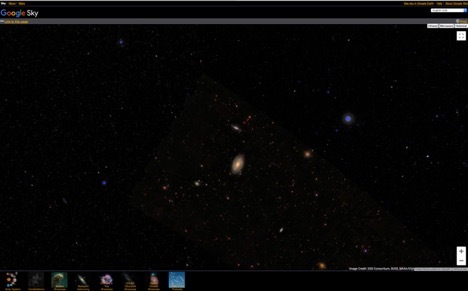 Having a powerful astronomy software or even a sky atlas is excellent. However, even if you had your own observatory in your backyard, without the help of an astrophysicist or an expert amateur with tons of experience, it would be impossible for you to fully enjoy and appreciate the sky at its best. We’ve worked hard to bring you the best astronomy sites online for beginners, intermediates and professionals alike. Whether you own a beginner telescope or even if you want to learn about astronomy and everything related to the sky, our list of the best astronomy websites is sure to please. 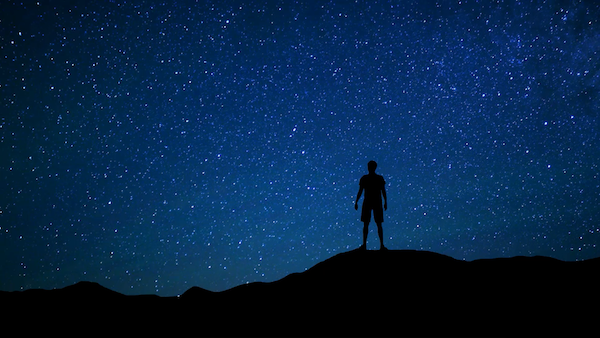 So why not initiate yourself with the skies by browsing the astronomy sites listed below. Learn everything there is to know about the sky and discover the beautiful mysteries that are right above our heads. Take a few minutes to discover the sites below and you won’t be disappointed. One of the best space sites and astronomy websites online is without a doubt Google Sky. This tool powered by Google works very similarly to its partner tool Google Earth. Simply enter coordinates to instantly be brought to that location or scroll around and explore the sky in complete freedom. Just like looking through the Hubble telescope, you will be able to see planets, constellations and so much more with this highly precise and accurate sky viewing tool, which is available absolutely free of charge. If you’re already a fan of astronomy, you most likely already know about Hubble. Hubble is a telescope that was sent into space and orbits around the earth. Since it was launched in 1990, Hubble has helped evolve the world of astronomy very significantly. The HubbleSite website provides you with tons of high-resolution images and videos of the beautiful, yet mysterious sky. 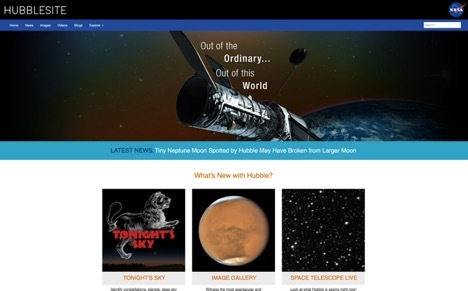 Hubble is a great astronomy for kids site or even for adults who are not necessarily experts in astronomy. Go ahead and browse their platform right now to get started! 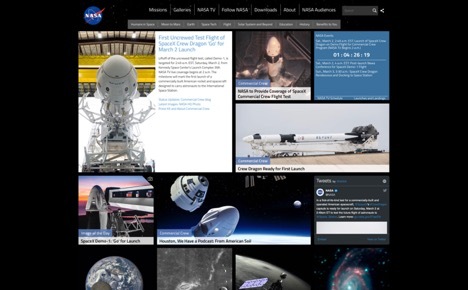 While NASA (National Aeronautics and Space Administration) is the most popular sky institutions in the world, many people will be surprised to discover their website. One of the great things about the NASA website is that you can learn everything there is to know about the space station. From satellite launches, international cooperations and even important upcoming missions. You will find tons of important information along with high-resolution space images, including images of the moon, the sun, Mars and many other sky objects. 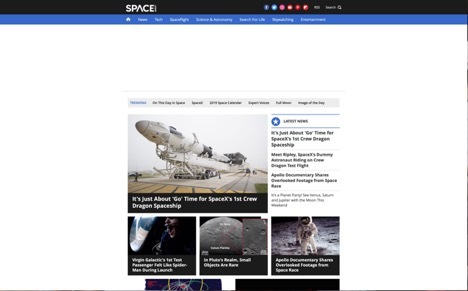 If you enjoy the best space websites online, Space is one of the top places to visit. You will find all sorts of videos and photos of extreme beauty. You will also discover a ton of high-quality articles waiting to be read. How to find constellations and how to protect your eyes during a solar eclipse are just a few examples of the excellent articles that you’ll get to browse on Space. Take a look at their online platform now to find out everything there is to know about Astronomy. 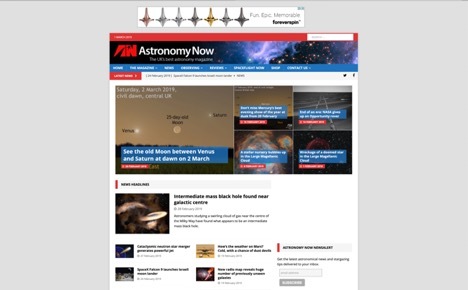 Astronomy Now is another website that will help guide you in the astronomy learning process. They make it easy for you to know where to get started when buying astronomy equipment including professional telescopes and lenses. Enjoy Astronomy Now and find out about the latest advancements in sky technologies, learn about the best astronomy news sites and read highly detailed articles about a vast array of topics. Check out the Astronomy Now website immediately and you will surely learn a lot. If you want to know everything there is to know about satellites, new technologies and much more Space Daily is the place to be. Among the best astronomy sites online, you will definitely want to add this website to your bookmarks. 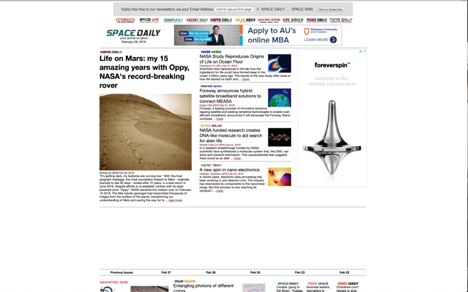 This astronomy news site is also partnered with many other platforms including Energy Daily, Solar Daily, Space War, Nano Daily, Mars Daily, and so many others.